Leader/saxophonist Ricco Richardson moved to South Carolina a few years after producing that funky 45 with Clifton Dyson, and he has been there ever since. Merging with a local group, Blackrock, and combining names as “Blackrock Educators”, Richardson was involved in their rarity “Isn’t It Nice” b/w “Give Into Love”, released on Bobby Cohen’s eponymous imprint in 1979. The Blackrock affiliation did not last very long, and Richardson reverted to his band’s original handle. In addition to the dynamic sax-man, the current line-up also consists of Gregg Johnson (lead guitar), Thomas Kelsey (bass guitar; ex-Profiles Band and Revue* of “Boo-Koo-Stump” Carolina Soul fame), and Tim Faber (drums; also ex-Profiles Band and Revue). Local South Carolinian “James Brown, Jr.” is available on request. *Note: “Profiles” was actually a typographical error for “Profilers”. The defunct Columbia, South Carolina outfit is still remembered locally by their correct band name. Some music enthusiasts in town also remember their unmistakably-titled synthesizer-funk jam, “Boo-Koo-Stump” (Columbia World Of Music 0055-J), which you can hear at the end of this entry. 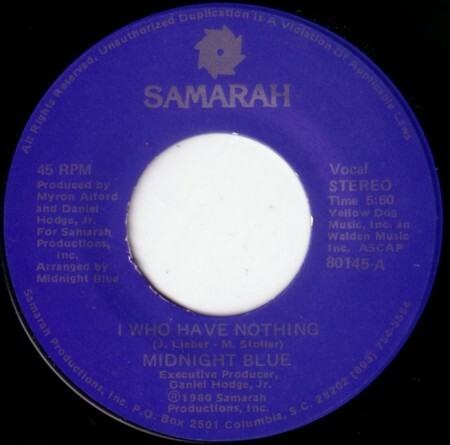 Midnight Blue’s rendition of the Leiber-Stoller composition “I Who Have Nothing” is right up there with Moe The Rooster as a frequent topic of email received here at Carolina Soul, and in this case, the writers always ask how they can hear the song again. As a response, we are offering an mp3 right here in this blog posting. The success of “I Who Have Nothing” must have funded more off-beat releases like King Clyde’s or a seasonal offering that I have yet to come across, “What Is Christmas Without A Toy?”, by Drake and Company, featuring saxophonist Skipp Pearson. Today’s recommended listening material, the Gospel Stars No. 2 of Charleston Heights, South Carolina (“play” button located at bottom of post), from 1979. While we’re on the topic, might these be the Gospel Stars (No. 1)? 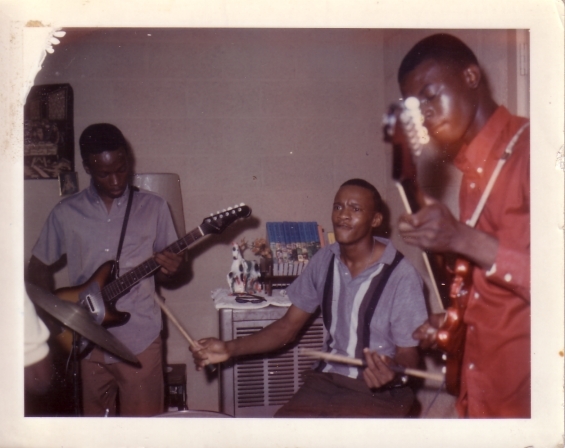 The Soul Rockers, the first group that Nolla managed, circa the late 1960s. The trio, plus an organ player, cut two Mainor originals “Reach Down And Get It” b/w “Center Of My Heart” for Charles O. Johnson’s Rocky Mount-based Goldleaf imprint (No. 010, as Nola [sic] And The Soul Rockers, even though Nolla wasn’t on the recording). 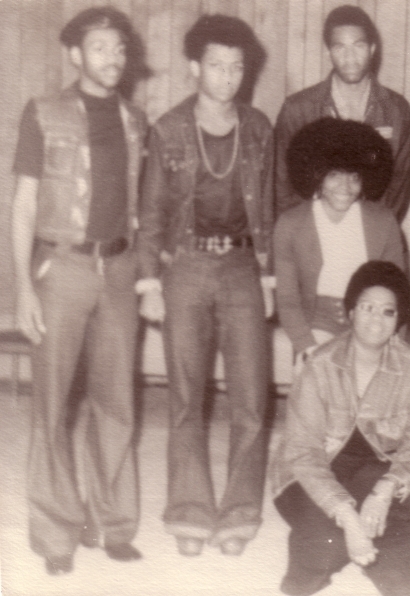 Nolla (bottom right) with the Beboppers, the second group that she managed, circa the early 1970s. October 1975, in the era of the Tempo’s Band (post Soul Rockers, post Beboppers). “This Is A Song” b/w “Ease It To Me” (Elvitrue 673, as “Shirlean Williams & The Tempo’s Band”) had just come out, featuring two more Mainor originals. In addition to holding down the managerial duties, Nolla took up the bass, for the first time playing in one of her groups. Nolla’s Christmas card and picture, 2007. The month of March came and went, with Jon Kirby and myself both on the road seemingly as much as we were home, and then when we had some downtime, we both watched too much March Madness. (Even though our Tar Heels weren’t where we wanted them to be, I suppose that some measure of civic pride can be found in the championship going to a fellow Tobacco Road team.) So there you have a couple excuses for our lack of posts these last few weeks, and we’re now ready to ease back in with what will hopefully be the first of many images of vintage Carolina Soul jukebox tags. Those pictured above are the only ones I can recall having, and I’d like to propose that you, our audience, submit scans of any that may be in your possession. 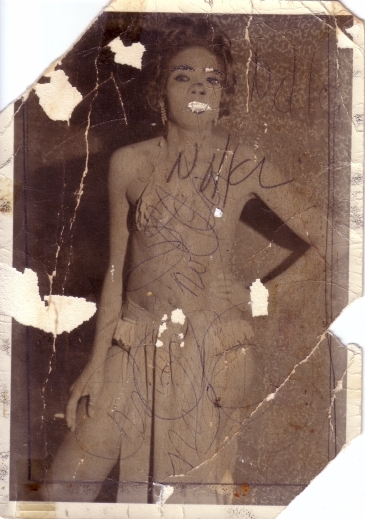 If you’re wondering about provenance, I’m sure I found that first handwritten Anthony Burns tag at the house of kind and helpful IBM employee turned record dealer Mike McKinley (R.I.P.) in maybe 2005, and the typewritten version came in the last year from a jukebox vendor that had been based in Greenville. Even though the deep soul two-sider “Try Me” b/w “Do Right Man” (Atlanta AT-4466) is quite obscure these days, the existence of the tags adds some weight to Mr. Burns’s claim that upon its release, his debut record was a hot commodity in the towns along South Carolina’s I-85 corridor, say from Anderson (his hometown) to Greenville. 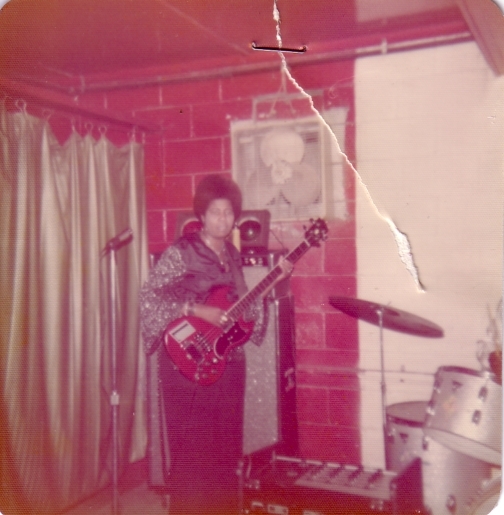 As for the “Doing What You Need To Do” tag, I’m pretty sure that a buddy found it in Burlington, NC, where Mr. Burns stayed briefly in the mid 1970s, cutting that great bass and drums-heavy funk (as heard on “Carolina Funk”) in Charlotte before moving to Durham and then back home to Anderson. On that day at Mike McKinley’s, the James (Mr. Soulfingers) Arnold tag also came my way. Mr. Soulfingers Arnold, we’ve never managed to track you down, so if you’re out there in Internet land, please drop us a line. 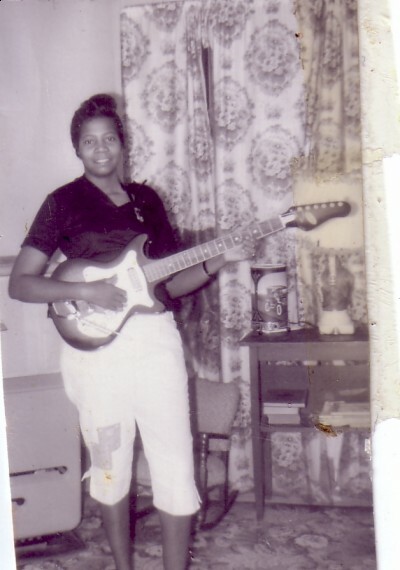 We do know that the label of the Je-eeca Records release “Someone New” (a deep ballad) b/w “Your Chain of Love” (a mid-tempo groover) credits Melvin Burton—one-time husband of none other than Southern Soul heroine Ann Sexton—as “Arranger of Horns”, which is a start, but we’re still curious. Can’t recall where the Tams jukebox tag originated, and that’s all for now, but please do let us know if you can share anything for a future post. Oh! One more note, speaking of Ann Sexton, I just remembered that over at Paradise of Bachelors, a site that I’m a part of, we have an almost complete sheet for her 1971 debut on Impel Records. Check it out here, and you’ll also be rewarded with a candid photo from the collection of her original producer David Lee, along with many images of him.